We live in a world where scientists and researchers are continually trying to make everything better than they have been in the past. Whether it’s the automotive industry, the medical industry or energy storage there is a constant push to be stronger, faster, and where possible, cleaner. This desire to continually improve has lead to a huge number of technological developments, and “graphene” – a sheet of carbon atoms that is only a single atom thick, is one of these. Scientists have known of graphene for a long time, however after it was first isolated from graphite this material has generated a lot of excitement regarding its possible applications. Its extraordinary properties have lead scientists to begin to ask, where can graphene be used to advance every day life? and have seen graphene used in applications from batteries, , hydrogen storage, and medicine. … As further research into graphene develops, it has now been dubbed a “wonder material”, and the possibilities for graphene applications are seemingly endless. Before looking at what graphene is and where it’s going, it’s important to understand where it has come from. – Non-toxic, chemically inert and high resistance to corrosion. These extraordinary properties had lead it to be used in very diverse applications, including electrodes, batteries, lubrication, steelmaking, pencils and brake linings. Graphite is quickly becoming a necessary material in numerous high-tech and novel applications such as sensors, electronics and fuel cells. Graphite is made up of many two-dimensional layers of carbon sheets, like you might find in a large ream of paper. Each sheet within the stack is a “graphene” sheet; and graphite is the bulk material. Each graphene sheet is extremely strong however the sheets are bonded to one another laterally via weaker bonds, thus allowing the graphene layers to easily slide across each other and making the bulk graphite malleable. In 2004, two researchers at The University of Manchester, Prof Andre Geim and Prof Kostya Novoselov, successfully separated individual sheets from graphite by exfoliating these layers using sticky tape. This earned them the Nobel Prize in Physics in 2010, and opened the opportunity of using graphene as a functional material. – It is also an excellent conductor of heat and is the fastest electrical conductor of any substance. Because of its desirable material properties, there is considerable ongoing research on graphene, and its possible use in applications. A huge number of graphene related patents are being filed and published each year, which is shown in the graph below. The first mass-market graphene -based product, introduced in 2015 was the graphene light bulb, which is a lower energy emission, lower cost, and longer longevity version of a typical LED light bulb. – Batteries – the biggest issues facing batteries that are currently on the market include the energy density, battery longevity and the amount of time it takes to recharge them. A team of researchers at the Northwestern University has shown that graphene anodes are considerably better at storing energy than anodes made of graphite. This is because graphene anodes have higher energy densities and the research also suggested that graphene anodes are able to recharge up to 10 times faster than current batteries. This research was uncovered in 2011 and it has since become an area of focus for graphene researchers. – Solar Energy – graphene research is currently ongoing in regards to solar energy and fuel cells. The biggest breakthrough in regards to solar cells is the possibility that graphene is able to replace the platinum that is used in the cell. The use of Platinum has a large cost impact on the cost of producing a hydrogen fuel cell. Researchers at Michigan Technology University have found the conductivity and transparency of graphene makes it a viable and affordable alternative to platinum. It is because of the conductivity and high catalytic activity, which allows graphene to be used within solar energy. – Hydrogen storage – A PhD student at Rensselaer Polytechnic Institute has also used graphene to increase the binding energy of hydrogen to the surface in a fuel tank of a hydrogen fuel cell vehicle. This increases the amount of hydrogen storage, which could make fuel cell vehicles even more sustainable and energy efficient in the future. – Medicine – A team of international scientists in Seoul have suggested that graphene can be utilised to create a wearable patch that could replace blood glucose meters and insulin injectors for diabetics. The patch is made from a conductive, flexible, transparent graphene material that attaches to a person’s skin and examines sweat for pH and temperature changes that signal high glucose levels. When a person’s sugar levels are high, the patch then dissolves a layer of coating, which exposes microneedles and releases medication to regulate and reduce high blood sugar levels. 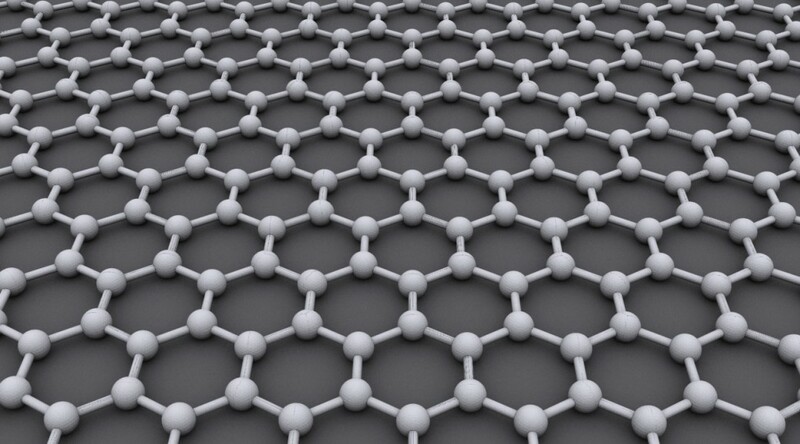 Currently the biggest hurdle restricting the adoption of graphene into mainstream applications is the availability of graphene in commercial quantities at an affordable price. Since the first time it was exfoliated from graphite using duct tape, there has been a dramatic increase in the number of production techniques, however very few offer a cheap a commercial way of producing graphene in bulk quantities. For instance, exfoliation via electrochemical synthesis, although a scalable method, is still limited by access to cheap and high quality graphite. A method that is inherently cheap and scalable is the production of graphene via chemical vapour deposition. This involves decomposing carbon containing gases and depositing the solid carbon as various forms of graphite, including graphene. In March 2016, Hazer Group Limited announced an ongoing collaboration with the University of Western Australia on the application of the Hazer Process for the production of graphene. The research will focus on further tailoring the Hazer Process reaction conditions to improve the yield and quality of graphene that it produces. The research from this collaboration should be able to provide a basis for the future production of graphene at a larger scale, resulting in more opportunities for graphene and its applications.